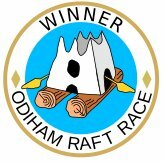 We sponsored the first 'Odiham Raft Race' which was on the 2nd September 2018 - 2-5pm and it was a roaring success, raising over £500 for the Basingstoke Canal Society. The funds raised will be used by the Basingstoke Canal Society to help keep our beautiful canal in the best possible condition so that we can enjoy boating, walking, cycling and just looking at the diverse wildlife that it attracts. The theme of the event was '100 years of the RAF' and there was a fancy dress theme which not many spectators took up so next year we will reduce it to something more achievable like 'wear a nautical hat' Prizes will be awarded next year for the best hat! There were quite a few stalls on Colt Hill Wharf including; The Basingstoke Canal Society (BCS), The Basingstoke Canal Authority (BCA), Hampshire & Isle of Wight Wildlife Trust, Sand Art, Accessible Boating, Pickle Bear, La Creperie, a beer tent and a tea and coffee stand both manned by Galleon Marine. Seven adult teams launched their rafts from the North Warnborough Lift Bridge at 10 minute intervals and finished 2.6 Km later at the boat basin at Colt Hill. The B.A.D. Canoe Club provided marshals to follow each raft to ensure safety. The winning Team was called 'A Raft For Life' and was crewed by staff from the Basingstoke Canal Society their winning time was 32 minutes which means their average speed was 3.00 miles per hour! (4.88 KPH). The 2019 course will be from Colt Hill Wharf to Lodge Copse Bridge and back which will be shorter (1.36 Miles) rather than the 1.6 Miles for 2018. This means that if the BCA can achieve the same speed they would complete next years course in just over 27 minutes! Raft For Life - BCA - 32 minutes. Two Junior teams raced from Colt Hill Wharf to the Odiham Bypass Bridge and back again. The Winners Cup and Medals for all team members were presented by ACM Sir Joe French after the race. The race will run again next year so you have plenty of time to get a team together and build a raft! 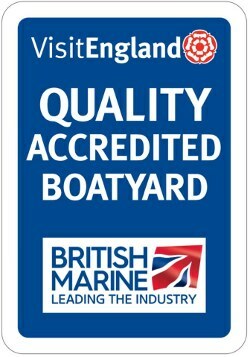 Next year the course will start and finish at Colt Hill Wharf. The turnaround point will be Lodge Copse Bridge. This gives a total distance of 2.2Km (1.36 Miles) the course for 2018 was 2.6Km (1.6 Miles). The interval between starts will be reduced from 10 minutes to 5 minutes to allow more 'interaction' on the water between teams. The following rules are for the safety of all competitors and to ensure that the canal and its wildlife are not damaged. 1. The minimum age for competitors in the main race is 11. A minimum of two adults (18+) must be part of any team containing youth members. The minimum age for competitors in the children’s race is 7. Each raft in the children’s race must be captained by an adult, who may not assist the propulsion of the raft. 2. Each raft will be crewed by a maximum of 6 competitors. 3. All competitors must be capable of swimming 25 metres fully clothed and unaided. Any competitors under the age of 16 must wear approved buoyancy aids. Life jackets will be available courtesy of the Canoe Club for a refundable deposit of £20. All competitors must wear suitable footwear to help prevent injury from hidden underwater hazards. 4. The raft must be a maximum of 2 metres wide. It must not be constructed of any materials likely to be toxic to the environment. No polystyrene foam is to be used unless fully encased in plastic. No nails to used below the waterline. No commercially manufactured hulls. 5. Rafts must be propelled without any mechanical advantage such as a motor or geared paddlewheel. No rowlocks! Competitors may not propel the raft by pushing against the sides or bottom of the canal. 6. Rafts must be capable of being launched and recovered by the crew alone. 7. When boats have turned around at Lodge Copse Bridge and are heading home, they have priority so outward bound teams must give way to them by moving to the right bank. 8. Rafts must be available in the assembly area for inspection by the organisers by 1pm on the day of the race. The organisers’ decision about the safety and fitness of the raft to take part is final. Teams may contact the organisers prior to the race for advice and a progress check. Or you can download and print an Entry Form Here and then hand it in to one of the addresses listed on the form.